However brilliant you are at your job, I’m guessing that you’ve never been awarded a bonus of 75-million pounds. And if you’re completely brilliant at your job, you’re probably wise enough to realise that taking that 75-million-pound bonus may not be the right thing to do – for your customers, your work colleagues, your investors, your community or yourself. But if you ever are awarded this kind of money, then you should at least be clever enough to realise you’ll be asked questions about it. And you should be smart enough to make sure you’re ready to answer those inevitable questions. 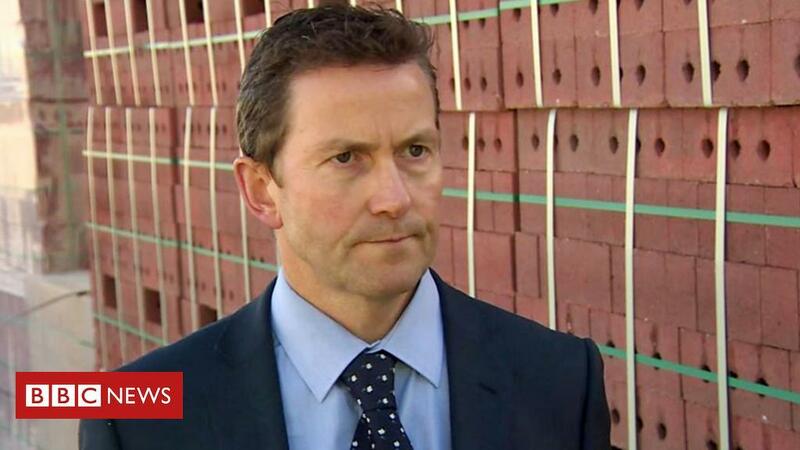 Alas Jeff Fairburn, the Chief Executive Officer of the British house building firm Persimmon – embarrassingly – managed to avoid doing this in relation to his record-breaking £75-million bonus. Mr Fairburn failed abysmally to come up with coherent, convincing comments on the topic when predictably questioned about his mammoth bonus by a TV reporter. This could only lead viewers to conclude that the bonus – believed to be the largest ever by a firm listed on the London stock exchange – was impossible to justify. Mr Fairburn knew his bonus was controversial – partly because it had to be reduced from the initial £100-million after a public outcry earlier in the year. But when the BBC asked him about it at the opening of a new brick factory, all he could do was take direction from an off-camera adviser, refuse to answer the questions and walk out of the interview. Did this stop any expression of public outrage about the bonus? Did it stop the BBC running with the story? All the walk-out did was make sure that every other media outlet which covered the initial bonus story had even more reason to cover it again – in bigger, bolder and more excruciating detail. If you want to look guilty, shifty and clueless all at the same time when in the firing line of reasonable questions, then Mr Fairburn’s face can show you how! Check out the boss’s embarrassing non-answers here – but only if you’re resilient enough to withstand the unsettling agony of watching it. The only coherent thing Persimmon could put forward immediately after the interview walkout was that it was “unfortunate” that Mr Fairburn been asked the questions. It would be more truthful to say it was “unfortunate” that Mr Fairburn was pathetically unable to give any answers. The lessons are clear to all in business and beyond. If you or your organisation do something controversial or newsworthy – good or bad – in the public sphere, then you should be able to come up with answers to simple, obvious questions about it. 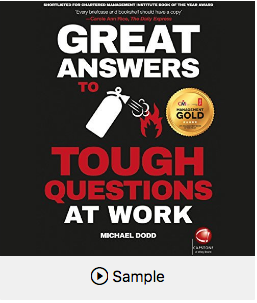 And even if you’re wise and fair enough to knock back any outrageously high bonus you’re offered, if you’re leading a business you should be at least smart enough to make sure you’re trained how to answer tough media questions on other subjects. One of the key things when asked a pertinent public interest question is to make sure you say SOMETHING that’s helpful. Ideally that something should be a well thought out response, getting across an important relevant message and – where appropriate – backed up by a powerful example that paints a mental picture what you mean. Throughout the interview need to make sure you demonstrate a responsible attitude and own the problem – even if it’s a problem that you didn’t cause. And you need to make sure you adopt the right tone and project the right level of confidence and competence in the way you look – and the way you sound – when giving your response. In keynote presentations at conferences and in smaller training master classes, I show audiences what they need to do to ready themselves for tough questions – from the media, from clients, from prospects and others. It’s all about getting the content right, the structure right and the delivery style right. Remember if you give an abysmal reaction to a TV journalist, as Mr Fairburn did, the media tend to replay it over and over. In media training sessions, my colleagues and I equip participants to effectively answer tough questions that you know are coming up. But we can also show you how to be as ready as you can be for surprise questions that you don’t know are going to hit you. Occasionally I’ve done emergency training for people just hours and even minutes before they’ve had to rush off to the TV or radio studio to be interviewed. This is way better than having had no training at all. However, it’s far better for participants if you organise your training well before any trouble strikes – just as you take out home insurance well before there’s any sign of a fire… and in the hope that there never will be one. Being able to understand and apply the golden formulae for answering tough questions is a learnable skill. Being able to deal with blowtorch-on-the-belly media questions about bad news – and potentially tricky questions about good news – is also a learnable skill. …a bonus that is of course proportionate, easy-to-defend and hopefully – in your case – thoroughly deserved!